Dr. Pepper Jalapeno Beef Jerky! Wild Duck Or Goose Jerky. How To Make Bacon Jerky! Wild Boar Jerky! This Jerky Is So Good! The 6 Best Vegetables For Making Veggie Jerky! Four Ways to Use Jerky! Fruit leather is basically fruit jerky! It is the perfect summer treat, great for camping, hiking or a healthy snack for long car rides! Kids LOVE it! 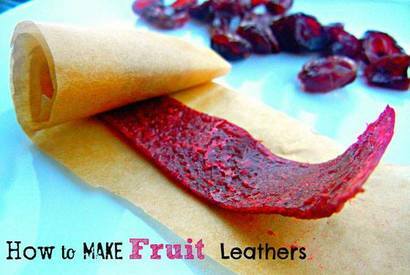 DIY Natural shows us how to make wholesome and delicious homemade fruit leather - in an assortment of tasty flavors!! Copyright © 2019 Jerky Addicts. All Rights Reserved.